In today’s world of buyers and sellers finding each other on the internet, you must have an effective content marketing strategy if you want to capture some of the business that is out there for the taking. The only real rule with a content marketing strategy is that you are producing informational content – not a commercial about your company or product. The content could certainly be (and should be) related to your product or company and you could include some sort of a subtle plug, but at the end of the day it should be something that can be of value to your target market, either in the form of knowledge or entertainment. You should see these content pieces as bait or a lure; something that you put out and it captures a prospect’s attention and lures them into your world. For example, you may publish a blog post on your website, which then gets indexed by a search engine. When a prospect searches for a keyword that happens to be in your blog post and the search engine sends the prospect to your website. You now have the attention of a prospect that you would not have had otherwise. Once you have the prospect’s attention, you can use a content marketing strategy as a way to establish and open line of communication between you and a prospect. The most optimum example of this is that the prospect sees your content piece and ends up contacting you. But it might not always work that well and your backup plan can be to create a call-to-action that allows you to collect the prospect’s information or email address. For example, you can have a call-to-action button that says “Download our free ebook” and the website visitor has to enter their email address to receive the book. You now have their information and you can communicate with them in a number of ways from there – the channel for communication has been opened. There is likely a lot of information around how your products help someone and the problems that they can help to resolve. Content marketing is a great way to slice up all of this information and provide it to a prospect in small bites. For example, if there are a set of problems that you help to resolve for your clients, these are great content marketing topics. You can develop an individual piece on each and as you publish those, you are then educating those that view your content on how you can help. Blog posts: We have written hundreds of blog posts with helpful tips and this has created a very steady flow of inbound traffic from search engines. Ebooks: Once someone is on our site, they can enter their email to receive free ebooks and this helps us to build our email list. Videos: We have produced a number of video with helpful tips. Social Media: We post our content marketing content all over the main social media platforms. 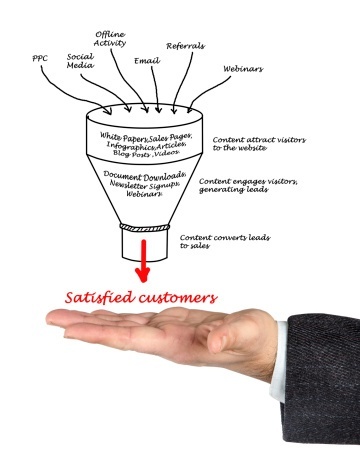 Email Marketing: We use email marketing software to drip our content to all prospects that end up in our funnel. I would like to end with a content piece that HexaGroup helped us to produce that is a humorous video highlighting the challenges of being a salesperson. Interested in Content Marketing Strategy for Lead Generation? HexaGroup can help! 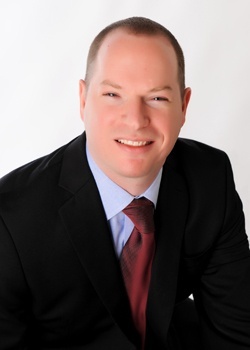 Founder and CEO of SalesScripter and author of “The Cold Calling Equation – PROBLEM SOLVED", Michael Halper is an expert on how to penetrate new accounts, get meetings with executives, and generate leads. His mastery of this area began while working in hunting roles selling technology products to large corporations and took it to the next level while building and managing an inside sales call center.